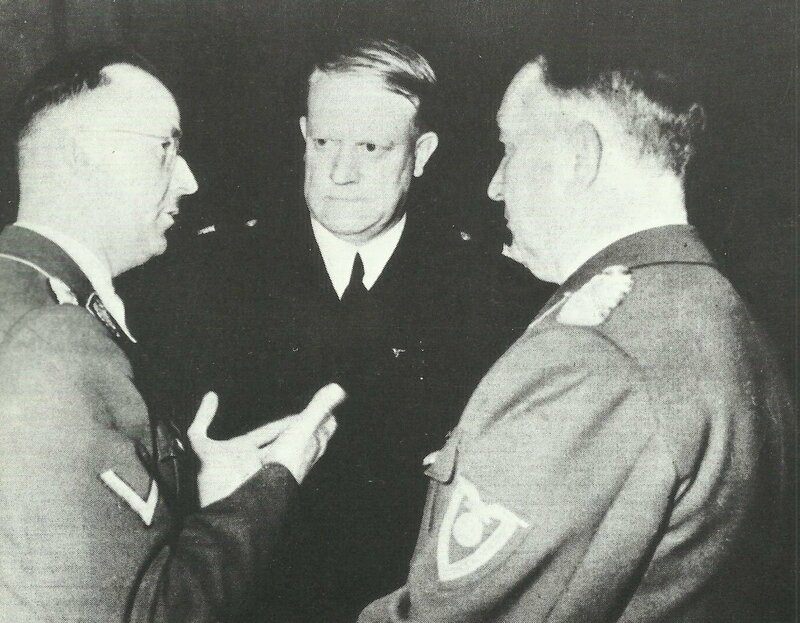 Vidkun Quisling (center) in conversation with Reichsfuehrer-SS Himmler (left). Norway: Quisling Government established in Norway. Pacific: US carriers Enterprise and Yorktown and cruisers Northampton and Salt Lake City attack Gilbert and Marshall Islands. USA: Death of Marion Sayle (‘Voice of Experience’) Taylor, author and lecturer; aged 52. Britain: RAF Regiments formed for local defence of UK airfields. Pacific: Japanese commence series of day and night raids on Rangoon. Vichy France: King Koadio Adiomani of Bonduku in Ivory Coast (Vichy-French West Africa), now in Gold Coast with several thousand of his subjects preparatory to joining Free French Movement.